When Choosing A Source To Finance The Purchase of A Used Manufactured Home you will find that there are not as many options, especially if the home is in a leased-land community. Here are a few sources for obtaining financing for a used manufactured home…these are not all inclusive and you are in no way obligated to use these sources. Neither Home Is Where The Heart Is, Inc or Frank Shriver is not recommending the use of these sources nor are we financially compensated in any way by any of these companies. 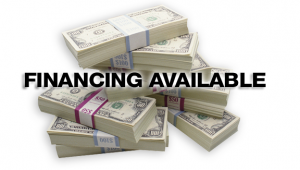 These sources are strictly placed to start your financing search!